Welcome to the Home of The German Shorthaired Pointer Club of Western Australia. Our Club hosts many events and fun days each year. We hope you enjoy your visit. Feel free to have a look around and contact us if you would like to know more about this Active, Intelligent, Breed who excells in many disiplines such as, Retrieving, Agility, Obedience, Showing, Tracking, and many more activities. The GERMAN SHORTHAIRED POINTER also makes a wonderful companion and great family pets. Patrons:- Mrs J. Tsakalos & Mrs G. Byrne. Mr L. Golding, Mrs J. Tsakalos, Ms. M. Matthews, Mr L. Book. Subsrcriptions To The Treasurer:- As Above. Financial Membership:- From 1st November to 31st October each calendar year. any Member Body of the Australian National Kennel Control Council. Overseas Memberships are always welcome. Single Membership:- is for persons whose dog is registered in one name. pays to the Club the Subscription as decided by the members at an Annual General Meeting. Name:- The German Shorthaired Pointer Club of Western Australia. Pointer breed in Western Australia. promotion of pure breed dogs and canine sports and activities. in the promotion of those objects or purposes. Regulations, of, the Canine Association of Western Australia. by these Rules, it shall be dealt with in a similar manner. 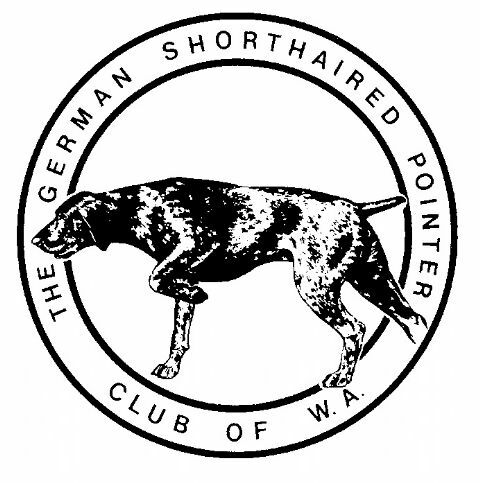 German Shorthaired Pointer Club of Western Australia. DOMESTIC RULES ------ Revised 2012.
committee members, one of whom may be the Newsletter Editor. susequent comittee meeting, or failing that, at another subsequent meeting. One or two Patrons shall be elected annually at the Annual General Meeting. The Club may produce a newsletter from time to time. Associate Members may:- (a) Attend Annual, and General Meetings as observers. (b) Assist in the conduct of any Show, Parade, Trial or Test held by the Club. The Annual General Meeting shall ordinarily be held in the last 2 weeks of November. (10) Annual subsrciptions are payable on the 1st November each year. The Chairman at all Meetings shall have the right to a deliberate vote. He also has the casting vote. rate if the Committee so determines. (B) Club Trophies will be awarded only to Club Members. with due notice of motion to the Membership, as per Canine Association Regulations.